Everybody wants to reduce or minimize the energy cost of operating their heating ventilating and air conditioning (HVAC) systems. This includes Commercial Building Owners, Facility Managers and Homeowners. HVAC system energy costs typically represent 40% of total commercial building operating cost and 48% of total residential building operating cost. You can see that HVAC system energy consumption is substantial so it is a good target to try to reduce. There are many ways to reduce HVAC system energy consumption but what ways give you the biggest bang for the buck (ROI)? 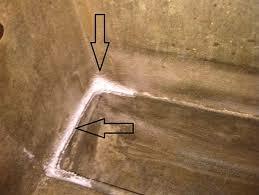 I would like to suggest: Sealing HVAC Ductwork, Cleaning HVAC Coils and HVAC System Cleaning (air duct cleaning). In a typical house, according to Energy Star, about 20 percent of the air that moves through the duct system is lost due to leaks, holes, and poorly connected ducts. The leakage rates for commercial HVAC systems have ranged from 5-15%. The result is higher utility bills and difficulty keeping the building comfortable, no matter how the thermostat is set. It’s been said that sealing ductwork is the single most effective way to improve energy efficiency and lower your HVAC energy cost. Sealing ducts increases efficiency, lower energy bills, and can often pay for itself in energy savings. Plus, if you’re planning to install new heating and cooling equipment, a well-designed and sealed duct system may allow you to downsize to a smaller, less costly heating and cooling system that will provide better de-humidification. With these types of benefits and the return on investment it’s a great way to reduce HVAC energy costs. But what’s involved? Any HVAC system you want to seal needs to be cleaned first to remove the accumulated dirt, debris and contaminates. Determining the need by testing your HVAC system for air leakage. Decide on the sealing method or methods that are best for you. For exposed ductwork that you have access to you can have water based mastic (UL 181) and foil back tape applied to the outside of the ductwork. 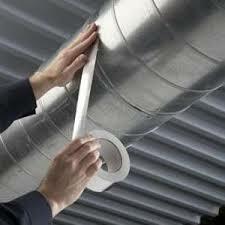 For ductwork you can’t seal from the outside there are methods you can use to seal from the inside of the ductwork. Coatings with a high solid content and good bridging capability can be applies with cart/robotic spray systems and airless spray equipment on small leaks up to 1/8”. Aerosol based sealants also seal from the inside. The aerosol sealant finds the leaks and builds upon itself until the leak is sealed. It is recommended that you do a pressure drop test across the coil to establish existing coil condition before you clean the coil. You will find that many neglected coils, (especially commercial coils) have pressure drop of 2-3 inches of static pressure. All coils have an air entry side and an air leaving side. The dirt tends to accumulate on the air entering side of the coil. Start cleaning by using Type 1 dry methods (gentle brushing, gentle contact vacuuming or air washing works well). If after dry cleaning the coil is still not clean use Type 2 wet cleaning methods. Wet cleaning includes all methods under Type 1, plus application of coil cleaning products (which shall be used in accordance with the manufacturer’s product labeling) with spraying equipment. On large multi-row commercial coils you may need special equipment to force the coil cleaning solution deep into the multi-row coils. 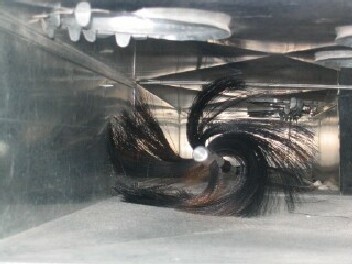 Let the coil cleaning solution sit on the coil fin surface for the time specified on the product label. The coil cleaning solution will loosen the accumulated dirt, debris, contaminates from the coil fin surface. Thoroughly rinse the coil fins with water until clean. Repeat these procedures if coil is not clean enough. Once the coil is dry, it is recommended you do another pressure drop test to see how you improved the air flow across the coil. 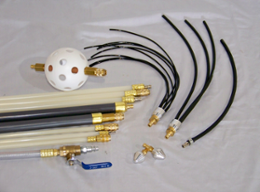 Your goal should be to get the pressure drop down to .50 inches of static pressure or lower. Air Duct cleaning is the removal of the accumulated dirty, debris and contaminates from the air stream surface of the HVAC system. This normally means everything in the air stream is cleaned. On residential projects the means the furnace or air handler including the coil and heat exchanger, all supply and return ductwork, grills and registers are cleaned. 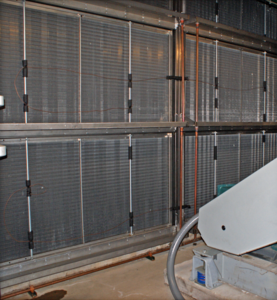 On commercial projects in means air handlers with the coils and dampers, all the supply, return, and exhaust ducts, turning vanes, vav/mixing boxes, fire dampers etc. NADCA’s (National Air Duct Cleaners Association) conducted an Energy Field Trails Task Force results are in. These results show that cleaning HVAC systems saves energy! In March 2016 NADCA released their “Restoring Energy Efficiency through HVAC System Cleaning” white paper. This white paper demonstrated how to measure improvements in HVAC systems energy efficiency after cleaning the HVAC system. A task force of NADCA members was formed to take measurements in the field to determine the effect of cleaning on the energy performance of the HVAC systems. This testing was done in regions across the US and Canada, testing many types of commercial and residential HVAC systems. Measuring temperature and in many cases humidity before and after the evaporator (cooling) coil. And measuring the airflow in cubic feet per minute (CFM) moving through the system. These measurements were then inserted into the formulas for measuring energy performance given in the white paper. The Results: It is important to note that these results are averages. In truth, improvements varied dramatically depending on a number of factors, including how dirty the system was, accessibility for cleaning, geographic area, etc. However, there is no question that cleaning made significant improvements in the vast majority of jobs and in some cases extraordinary improvements. 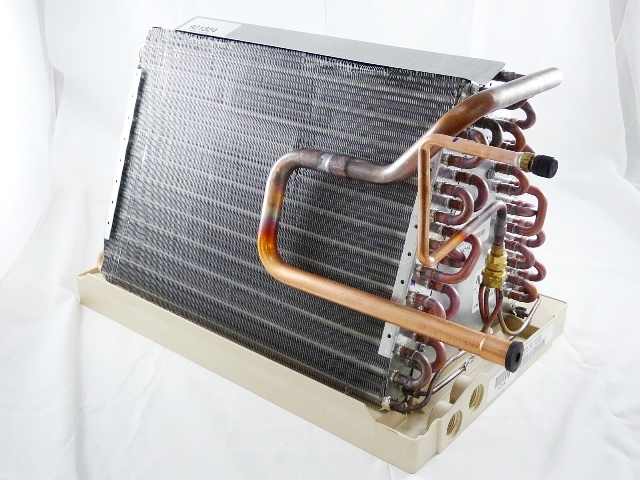 Temperatures Drop: The “temperature drop” at the cooling coil is the change in temperature of the air from when it enters the cooling coil on the return side to when it exits the coil on the supply side. This is also referred to as “temperature change” or Delta T.
Residential Measurements: Average temperature drop before cleaning was 9.6º and after cleaning temperature drop was 15.5º. This is an improvement of 5.9º or 61%. CFM: Cleaning removes obstructions from the coil, ducts, turning vanes, registers etc, thus increasing volume of air (CFM) through the system. The change in CFM was typically measured at a return register, though other locations may have been used when a return register was not available. Cooling Capacity: We refer to BTU output as “cooling capacity.” It can also be called “heat transfer rate.” BTU output was calculated before cleaning and after cleaning, using the formulas in the white paper. It is important to note that the field trial measurements are not exact but give a reasonable estimate of BTU output. Also, BTU output is not a direct reflection of energy cost. For example, doubling of the BTU output does not mean the consumer has cut his/her energy consumption in half. Determining actual energy savings requires monitoring before and after power usage. 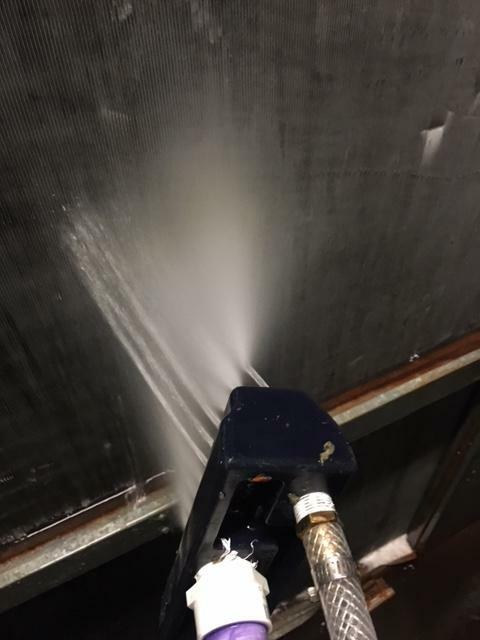 Improvement from duct cleaning alone: Although it was not the primary focus of the task force, we found evidence that duct cleaning alone (without cleaning the air handler or coil) improved CFM. On nine residential jobs where the air handler and coil were not cleaned but the ductwork was cleaned before and after measurements were taken. Residential average cfm improvement – 6.9%. The results of the NADCA Energy Field Trails task force show that pronounced improvements in cooling capacity and air flow are a typical result of HVAC system cleaning. HVAC system cleaning should be considered as part of any program seeking to improve a buildings’ energy efficiency. Summary: Obviously the single best way to achieve maximum reduction in HVAC system energy cost is to do all three activities: Clean the HVAC system, clean the coil(s) and then seal the leaks in the HVAC system. Even doing one or two of these activities will reduce HVAC system energy cost. Contact your local Air Duct Cleaning Contractors to discuss these services or to get a quote. 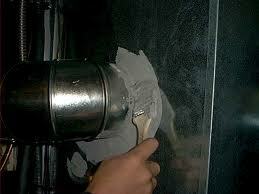 If you are looking for an air duct cleaning contractor go to www.nadca.com to find a NADCA Professional near you. Author: Peter Haugen, ASCS, CVI, President of Vac Systems International a manufacturer/supplier of residential and commercial air duct cleaning products and solutions, phaugen@vacsysint.com. NADCA: ACR 2013 – Assessment, Cleaning and Restoration of HVAC Systems can be found at www.nadca.com. “Restoring Energy Efficiency through HVAC System Cleaning” white paper at: www.nadca.com/resources/nadca-white-papers.